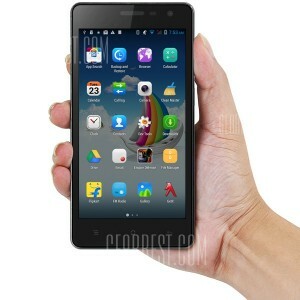 The Cubot S168 is a 5-inch phablet launched by the Chinese company. It has been designed for the middle range market, offering good specifications and keeping a reasonable price. The package, which weighs 0.5 kg, includes the battery, the power adapter, and the USB cable, using both for charging the phone or to exchange data with the PC. The Cubot S168 is available in two different colors, black and white. This phablet has a total size of 145 x 72 x 8.5 mm (5.7 x 2.8 x 0.3 inches) and it weighs 160 g.
Around the edges, we can find the different ports. On the right side, there are the volume and power controls, while the headphone jack and the micro USB port are located on the top. On the back side, we can find the camera and the flash light. 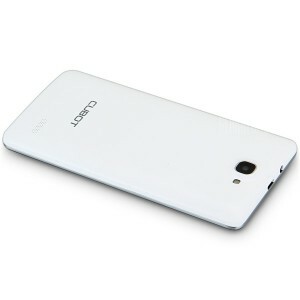 The Cubot S168 has a 5-inch capacitive screen with QHD resolution (960 x 540 pixels). 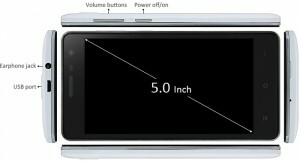 The three capacitive buttons are situated below the display and above the screen there is the earpiece and the front camera. 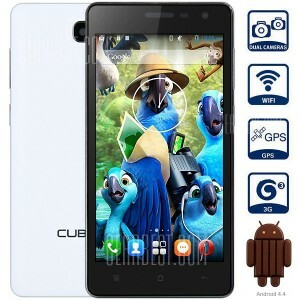 The Cubot S168 features a Quad Core Cortex A7 MTK6582 processor, running at 1.3 GHz, coupled with an ARM Mali-400 MP GPU. It’s not the best one available, but it’s a good choice to handle a screen with a medium resolution. The consumption of this display is not as demanding of those with higher resolutions, so the performance and the battery life of the device are we perfect for a conventional use of the phablet. It also includes a RAM memory of 1 GB, and 8 GB of internal memory, expandable up to 32 GB using a TF card, which is not included by default. It packs a battery of 2000 mAh and comes with the last version of Android, 4.4 KitKat. TheCubot S168 includes two cameras, a front and a back one. The sensor mounted on the back camera is able to capture images with a resolution of 8 MP and it also includes a flash light and an autofocus. The front one has a sensor of 5 MP, enough to provide the possibility to record a rather decent selfie. It can also record videos. The S60 is a dual SIM device that supports 3G and GSM on 850/900/1800/1900MHz and WCDMA on 850/2100MHz. The Wi-Fi connection uses 802.11b/g/n and it also includes a GPS sensor and Bluetooth connectivity. The software is available in English, Bahasa Melayu, Catala, Cestina, Dansk, Deutsch, Espanol, Filipino, French, Hrvatski, Italiano, Latviesu, Lietuviu, Magyar, Nederlands, Polish, Portuguese, Romana, Slovencina, Suomi, Svenska, Vietnamese, Turkish, Greek, Bulgarian, Russian, Ukrainian, Hebrew, Arabic, Persian, Hindi, Bengali, Thai, Korean, Japanese, Simplified / Traditional Chinese. The S168 also comes with Proximity Sensor, Gravity Sensor, MMS, WAP, FM, MP3, and MP4. The device is available unlocked for worldwide use, and you can purchase it for $99.99 from GearBest. You just need to be sure that your local area network is compatible with the networks supported by the device. Here, you can check the Network Frequency of your country.